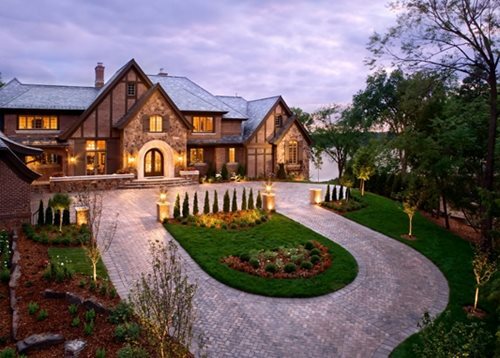 Use this design sheet to help you create the perfect English landscape. You'll get ideas for color, décor, materials, plants and fabric. 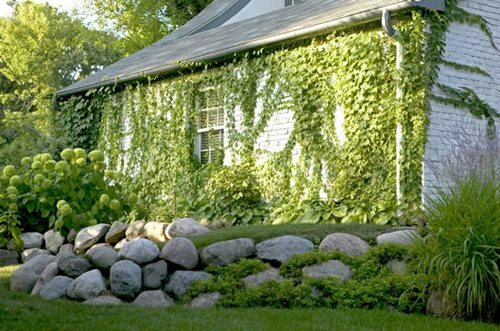 It is a great starting point for any landscaping project. 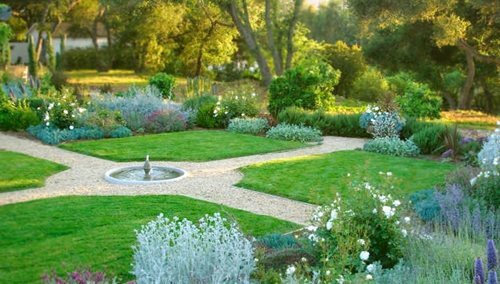 The English landscape style is the known influence that shifted from formal, symmetrical gardens to a looser, irregular style. 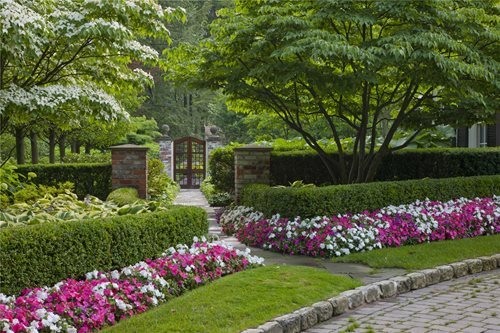 The English garden was a turn of the century ideal and changed many aspects of landscape to the community. Before the introduction of English landscape, nature was views as dangerous, the English landscape completely changed this view to appreciate and value the natural world. This style was inspired by painting and its design was influenced through many disciplines such as history, philosophy and science. 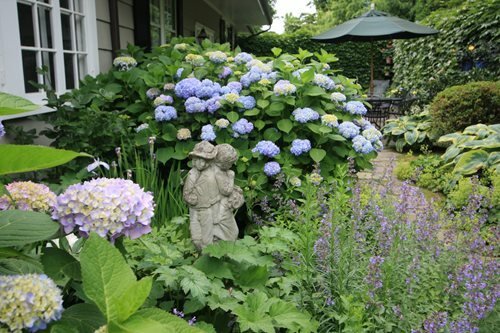 The innovative design of the English landscape style forever changed gardening and influences many homeowners to bring a sense of nature into their own yard to this day. 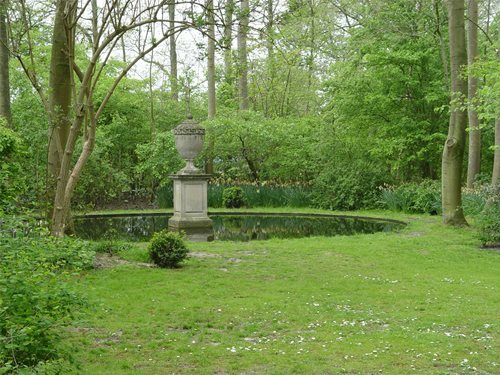 Lake - There was always a lake in the English gardens, most were man-made but all appeared to be natural forming basins. Their edges were meandering and irregular and often had pathways weaving through the trees and close to the water’s edge. Rolling lawns - topography allow for surprises as your coming around mounds or niches. Even if you create a small mounding area, this represents nature better___ than a completely leveled landscape. Tree groves - were spread throughout the landscape with paths that allowed the gardens users to wander in and out of the groves and provide a view of rolling lawns against mass tree plantings. Sculpture - Was entirely different than previous garden art. Part of the English landscape ideals was to provide views from a distance of classic detailed architecture and ruins. Ha ha -was a type of wall used to prevent animals from entering too close to the house without obstructing the view of the countryside. Grottos - were used as romantic hide outs. They were manmade but build to resemble a dark natural forming cave. 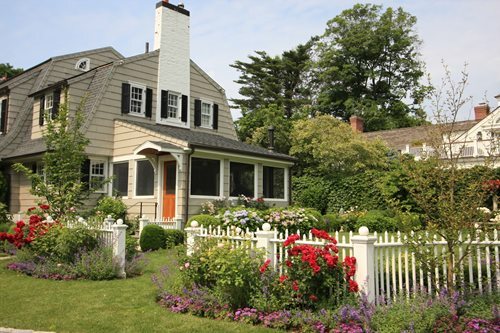 The English style gardens were built in a massive scale; however, it is still possible to design an English style garden in a residential landscape. Replicate the areas within an English landscape style by scaling them down. For example, you don’t have the area to create a natural looking lake; you can easily represent this by a small pond. Tree groves can be sized down to consist of a small grouping, and a small wooden foot bridge can be incorporated over the small pond area. Plant groups of the flowers that will provide color and a nice fragrance. 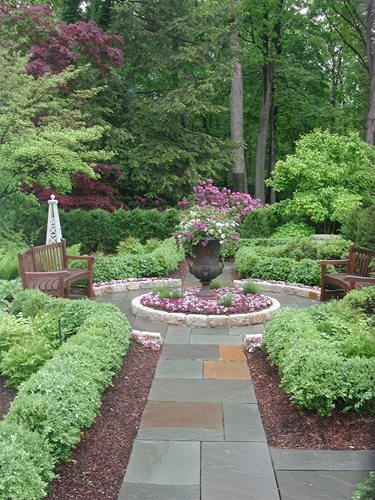 These gardens are designed to look natural and be a place for meditation and relaxation. This style values nature and encourages visitors to wander through the gravel paths. This style has been molded throughout the years to include a balance of traditional formality and organic flow. 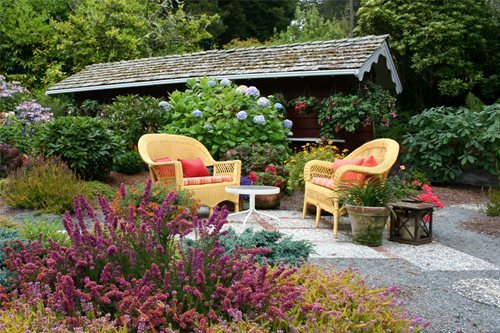 The English landscape design style is guaranteed to introduce a sense of mystery to your landscape.